All holidays on our website and brochure are ATOL Protected, since we hold an Air Travel Organiser’s License granted by the Civil Aviation Authority. Our ATOL number is 6699. In the unlikely event of our insolvency, the CAA will ensure that you are not stranded abroad and will arrange to refund any money you have paid to us for an advance booking. For further information, visit the ATOL website at www.caa.co.uk/atol-protection/ (by clicking this link you will leave our website and we are not therefore responsible for the content of the third party site). Emperor Tours Ltd is a Member of ABTA with membership number Y6161. ABTA and ABTA Members help holidaymakers to get the most from their travel and assist them when things do not go according to plan. We are therefore obliged to maintain a high standard of service to you by ABTA’s Code of Conduct. For further information about ABTA, the Code of Conduct and the arbitration scheme available to you if you have a complaint, contact ABTA, 30 Park Street, London SE1 9EQ. Tel: 020 3117 0500 or www.abta.com (by clicking this link you will leave our website and we are not therefore responsible for the content of the third party site). 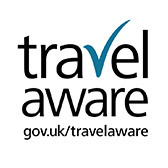 In accordance with ‘The Package Travel, Package Holidays and Package Tours Regulations 1992’ all passengers booking with Emperor Tours Limited are fully protected for the initial deposit and subsequently the balance of all monies paid to us, including repatriation if required, arising from cancellation or curtailment of your travel arrangements due to the insolvency of Emperor Tours Limited. Non-flight inclusive packages: Emperor Tours Ltd is a company committed to customer satisfaction and consumer financial protection. We are therefore pleased to announce that, at no extra cost to you, and in accordance with ”The Package Travel, Package Tours Regulations” all passengers booking with Emperor Tours Ltd are fully insured for the initial deposit, and subsequently the balance of monies paid as detailed in your booking confirmation form. The policy will also include repatriation if required, arising from the cancellation or curtailment of your travel arrangements due to the insolvency of Emperor Tours Ltd. This insurance has been arranged by Towergate Chapman Stevens through Zurich Insurance PLC. To make a booking, you must send in (by post or fax) a completed and signed Emperor Tours booking form together with a deposit of £350 per person. If we are unable to confirm your booking, we will immediately refund your deposit. The confirmation/invoice will confirm the details of your holiday booking and show the outstanding balance, which must be paid no later than 10 weeks before your departure. Bookings made within 10 weeks of departure require full payment. Cheques should be made payable to “Emperor Tours Ltd”. Anyone wishing to pay by credit card should be aware that we have to pass on the charge levied to us by the credit card company for processing such a payment. It is the responsibility of the Client to be in possession of a valid passport, which must be valid for at least 6 months before it expires from the date of application for a visa. A valid visa is also required for the duration of the tour, and inoculations and preventative medicines as may be required. Information about these matters or related items is given in good faith but without responsibility on the part of the Company. It is the responsibility of the Client to arrange adequate travel insurance before coming on a tour. Full details of travel insurance must be supplied to Emperor Tours with or before final payment. For escorted tours, group size over 10 travellers will be accompanied by a tour leader throughout the trip. For group size less than 10 travellers, English speaking local guides will accompany the group in each city and there may not be a tour leader throughout the trip. Local conditions may necessitate changes in sightseeing, routing and hotels. While every effort will be made to provide the services as offered, we reserve the right to vary your itinerary. In the event that we are forced to change your arrangements, substitute arrangements of a similar standard will be provided. The Company will not be liable where interruptions to itineraries are caused by “force majeure”; e.g. unusual, unforeseen and unavoidable circumstances which are beyond our control, even though all due care has been exercised. Examples of such circumstances include war, riot, industrial dispute, political unrest, terrorist activity, natural or nuclear disaster, fire, adverse weather conditions, disease or other unforeseen circumstances. NB: Certain travel arrangements cannot be changed after a reservation is made and any alteration will incur a 100% cancellation charge. If you or another member of your party is prevented from travelling we will endeavour to transfer the booking to another person at your request, provided that reasonable notice is given and the transferee meets all the requirements of the travel arrangements. The request to transfer a booking must be made in writing from the person who made the original booking, together with the transferee’s full details and any amendment charges incurred in making the transfer which are levied by our suppliers. All tours are planned many months in advance and we reserve our right to make any changes to the tour at any time. Minor changes such as airline/aircraft type, alteration of your outward/return flights by less than 12 hours, change of accommodation (including hotel and cruise) to another of the same standard, change of your sequence/daily itineraries are considered normal and minor to these tours. The Company will only cancel your tour if: a) it is forced to do so by unusual or unforeseeable circumstances, b) it is forced to do so as a result of flight cancellations or c) the minimum number of bookings required to operate the tour has not been reached. Where the minimum number has not been met, The Company will advise Clients at the earliest opportunity and will offer the choice of: a) accepting the changes, b) taking another available tour with The Company and paying or receiving a refund for any price difference or c) cancelling your holiday with a full refund of any monies paid to The Company. The Company accepts no responsibility for any damages or loss arising from a failure to carry out the contract as a result of: a) actions by the Client or b) unusual and unforeseeable circumstances beyond the control of the Company or c) any event which the Company, even with all due care, could not foresee or forestall. Where the Company is found to be liable for any damages, howsoever arising, these damages shall be limited to the price paid for the tour. The Company also does not accept responsibility for any injuries, loss or damage for any activities that do not form part of the arrangements provided by us. If you have a complaint about your tour you should bring it to the attention of the tour leader, local guide or the supplier of the service (e.g. the hotelier) immediately who will endeavour to put things right. If you fail to follow this simple procedure we will have been deprived of the opportunity to investigate and rectify your complaint and this may affect your rights under this contract. If your complaint is not resolved locally you should write to us within 14 days of your return, giving your booking reference number and all relevant information. We promise to deal with any complaint fairly and promptly within the terms of these conditions. The contractual terms of the airlines and companies that provide the transportation for your travel arrangements will apply to this contract. These may contain terms which affect your rights to compensation. Copies of these are available on request. In the event of any flight being delayed, be it domestic or international; outward, onward or homeward, the relevant airline will make arrangements, dependent on the time of day and the duration of the delay. In addition, your attention is drawn to the Travel Insurance detailing the levels of compensation available in such cases. In the event that your luggage is lost or damaged you should claim against your holiday insurance policy. Our liability for lost and damaged luggage is restricted in accordance with relevant international conventions. The contract, including all matters arising from it, is subject to English law and the exclusive jurisdiction of the English Courts.